Gone are the days of earth tone colored rocks and bark mulch. 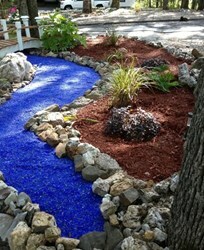 Landscapes can now sparkle with vibrant blues, purples and greens, just to name a few. 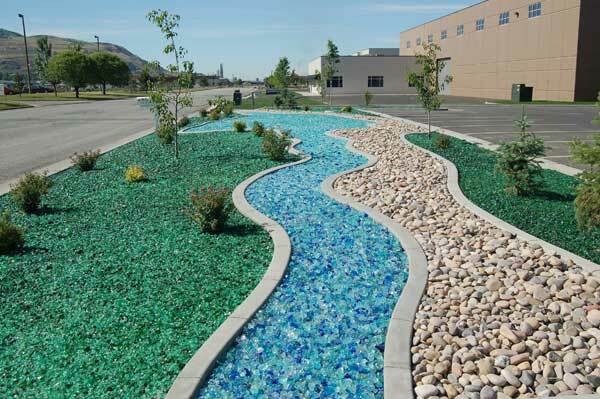 The rainbow of colors available in InsideOUTSIDE Spaces Glass’ products can bring to life to any dry riverbed, fountain accent, flagstone filler or rock garden. 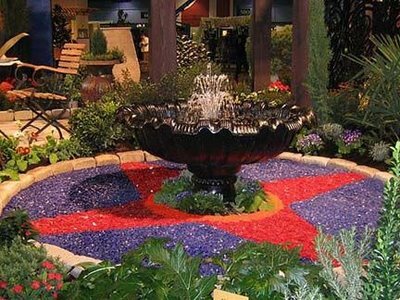 Whether you’re looking to spruce up your flower bed or create a dazzling faux water feature, InsideOUTSIDE Spaces has just the product for you. Because it’s tumbled, the glass won’t cut. Growing in popularity is landscape glass. It is the same colorful and enduring material as terrazzo glass except is it generally larger. 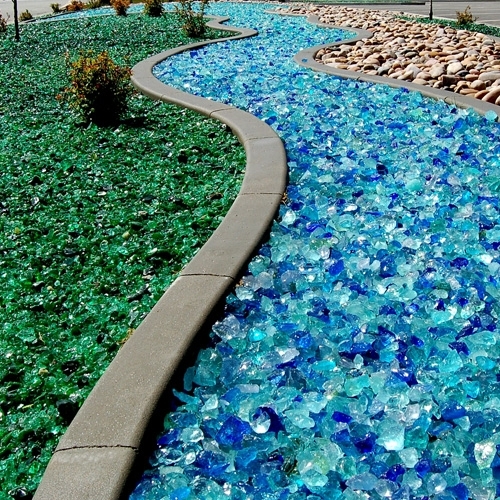 The placement of this tumbled and soft-edged glass in landscapes creates and environment that can range from whimsically playful to distinguished subtleness. Feel free to embellish your grounds with the ultimate material for enhanced landscaping.